Welcome to the Ash Class blog! 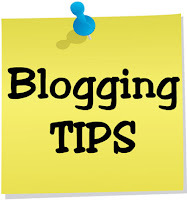 : Tips for using our blog! 2) The purpose of this blog is to share our wonderful work with the world - so remember that you need to use correct spellings and punctuation as much as you can and also use full sentences! Please don't use slang (comments with 'plz', 'lol', etc will not go on the blog - take pride in your blog comments!). 3) When you comment, start a conversation - pick out things you like, things you think could be improved (how could they be improved?) and ASK QUESTIONS - then you'll get answers! Remember that this blog has visitors from all around the world - you should be very proud that so many people want to see your amazing work! There are some more great tips for commenting on blogs here!